Super Bowl commercials never fail to spawn some fun water cooler conversations the day after the Big Game. 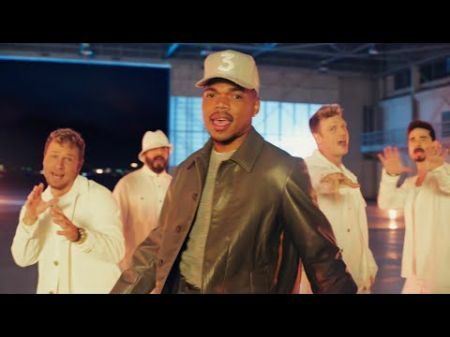 Chance The Rapper and the Backstreet Boys probably stirred up a hot one in their infectiously fun music-themed Doritos ad. Eventually, ‘90s boyband extraordinaire Backstreet Boys join the Dorito-loving party and break out with a fun rendition of their chart-topping, Grammy-nominated signature hit, “I Want It That Way.” Chance joins the BSB members, who are all clad in white, and they all rock a funky dance routine. Frito Lay is known for delivering some unforgettable Super Bowl ads for their beloved Doritos brand snack and this one doesn’t disappoint. It’s pretty obvious, in fact, that the multi-talented stars of this commercial need to team up and release an official collab single. Watch the entire “Flamin’ Hot” Super Bowl 2019 Doritos commercial starring Chance The Rapper and Backstreet Boys above. Backstreet Boys are touring in 2019, including a stop at the Sprint Center in Kansas City, Missouri on Sept. 7 (Tickets).